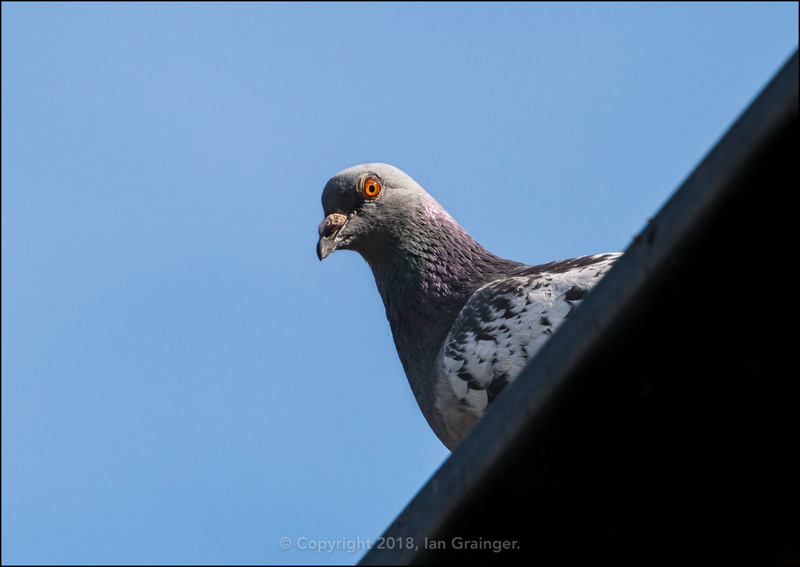 It was yet another ridiculously hot summer's day for my photo shoot at the weekend, and the weather showed no signs of getting any cooler. There hadn't been any significant rainfall for weeks, and quite a few of the garden plants were suffering as a result. 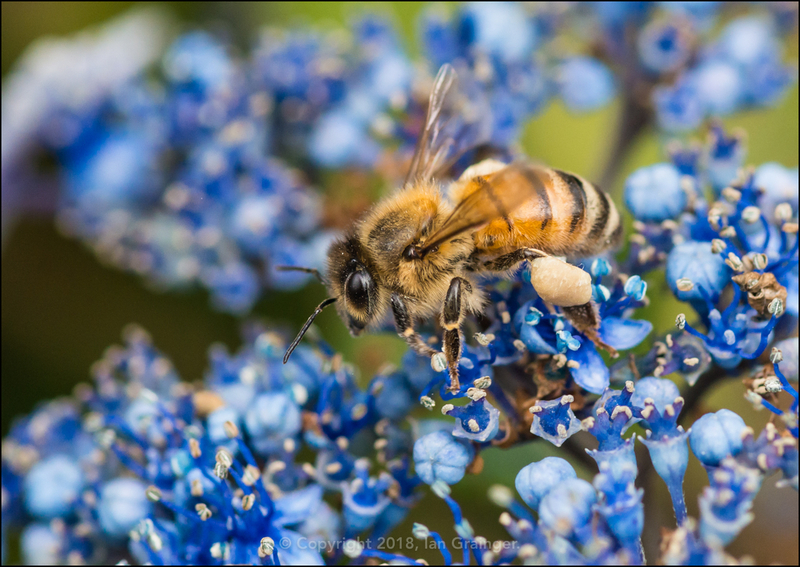 However, the hot days meant that there were an abundant amount of insects to focus on for my photographic endeavours. 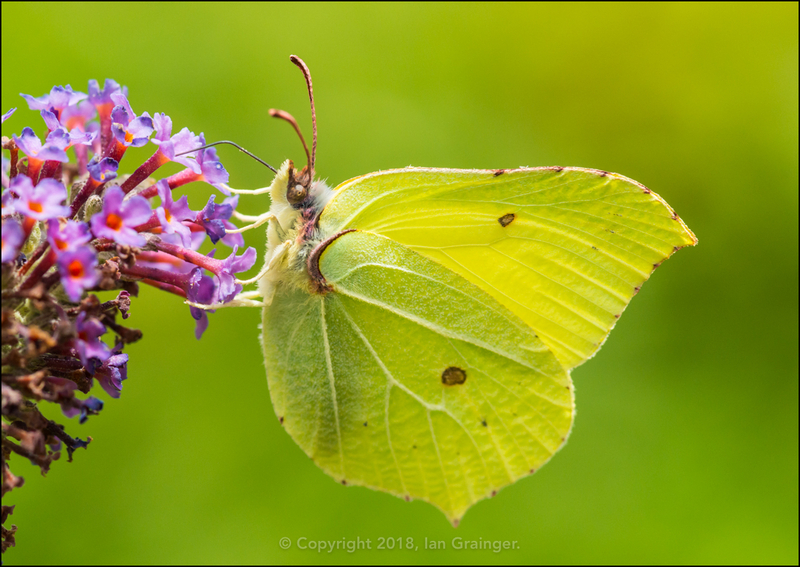 My favourite this week was this Brimstone Butterfly (Gonepteryx rhamni) which very obligingly settled on a Butterfly Bush (Buddleia) right next to where I was standing. 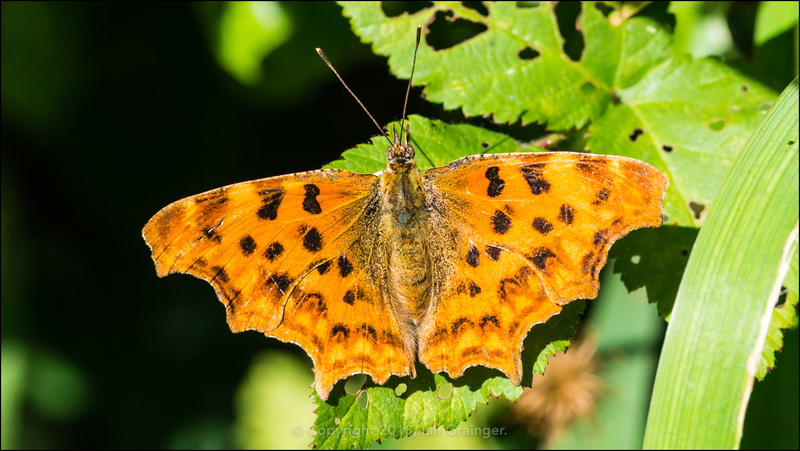 This Comma Butterfly (Polygonum c-album) wasn't quite so helpful, and lead me a merry dance around dad's garden until it finally settled for long enough to snap this quick shot. 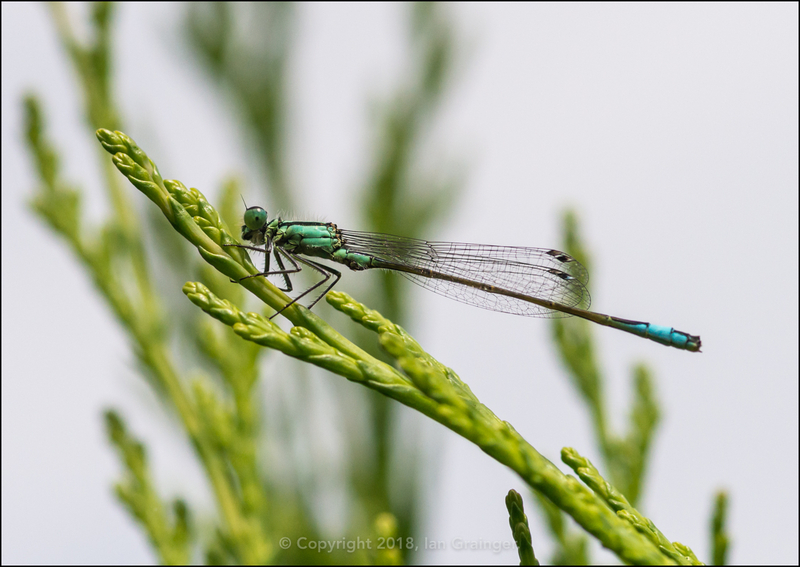 The Blue Tailed Damselflies (Ischnura elegans) were out in force again, with this one repeatedly returning to perch amongst the branches of a conifer hedge. 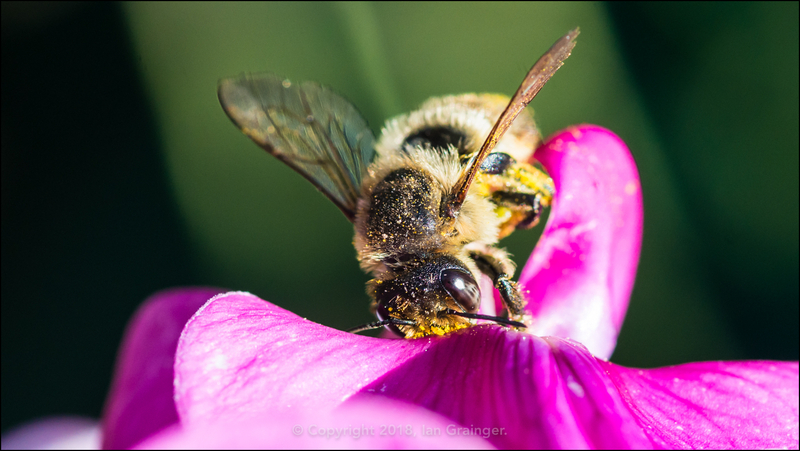 Also out in force were the Leaf Cutter Bees (Megachile), with the majority of them collecting pollen from the Sweet Pea (Lathyrus odoratus) blooms. 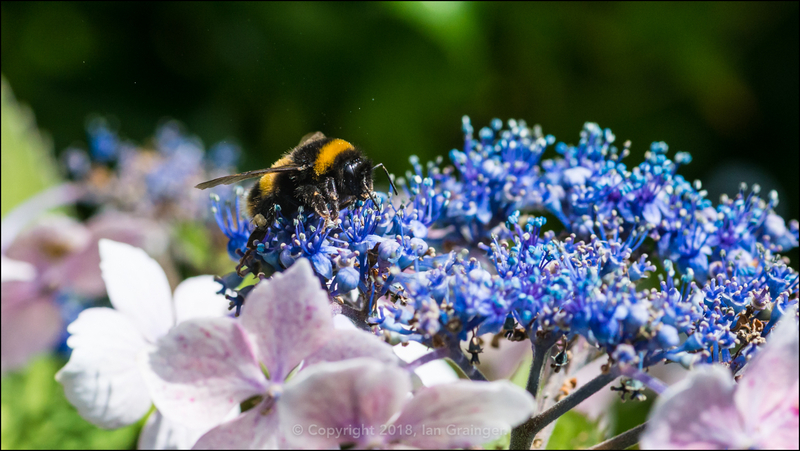 ...and Bumblebees (Bombus), like this White-tailed Bumblebee (Bombus lucorum). 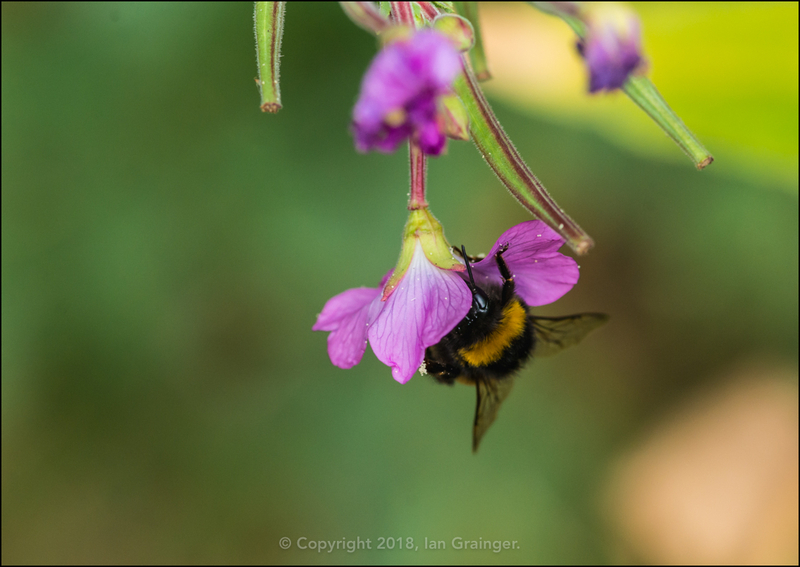 While other Bumblebees preferred rummaging around inside the Great Willowherb (Epilobium hirsutum) flowers. 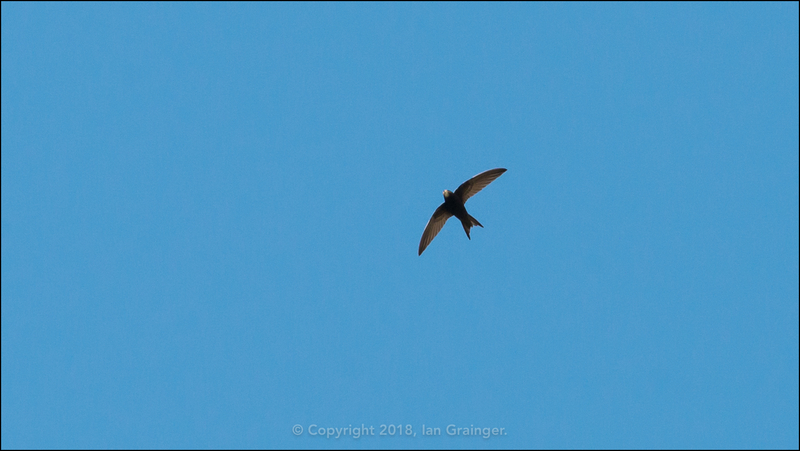 Looking upwards, there weren't many of my feathered friends around, but I spotted this lone Swift (Apus apus) darting around, feeding on the wing. 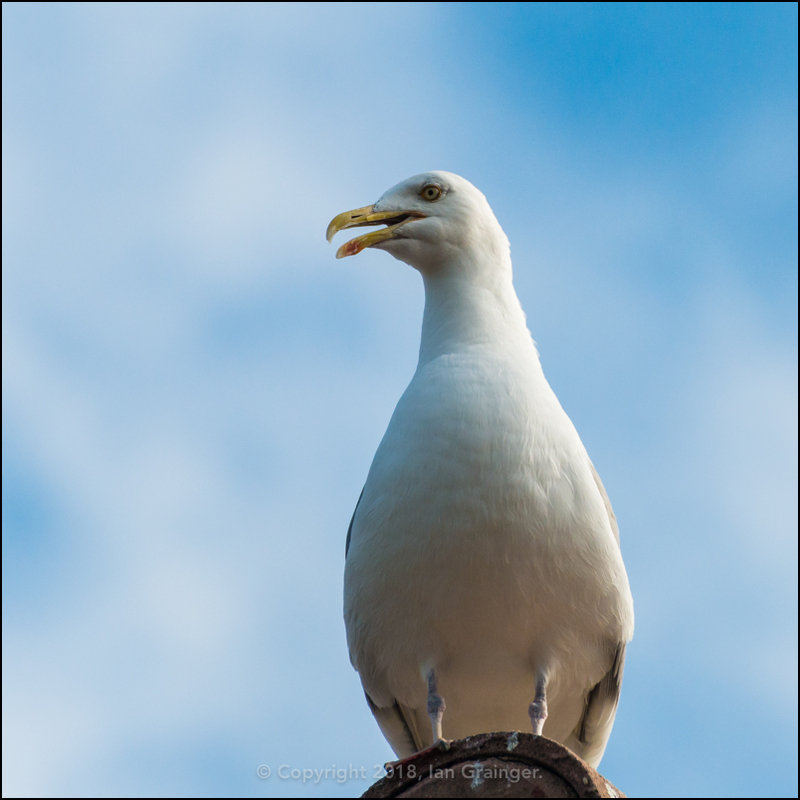 ...with some noisily passing comment like this Herring Gull (Larus argentatus). 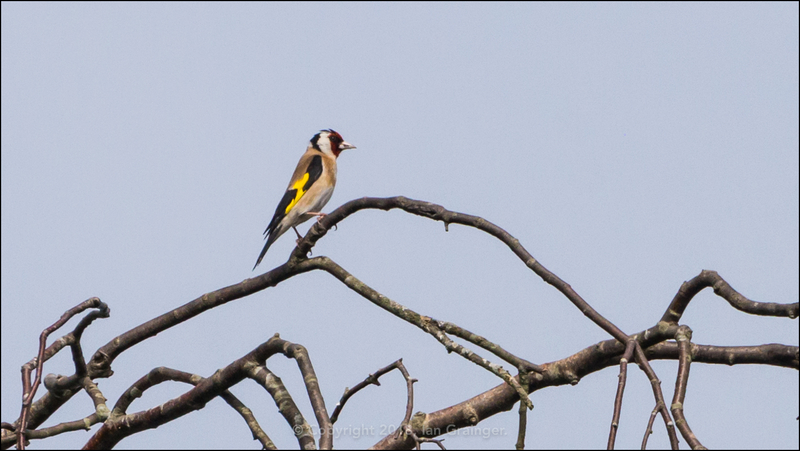 While the Herring Gull squawking wasn't the prettiest of noises, at least the Goldfinch (Carduelis carduelis) song made up for it a little. The Goldfinches were interrupted midway through the morning by this bunch of Crows (Corvid) which were making a right racket. 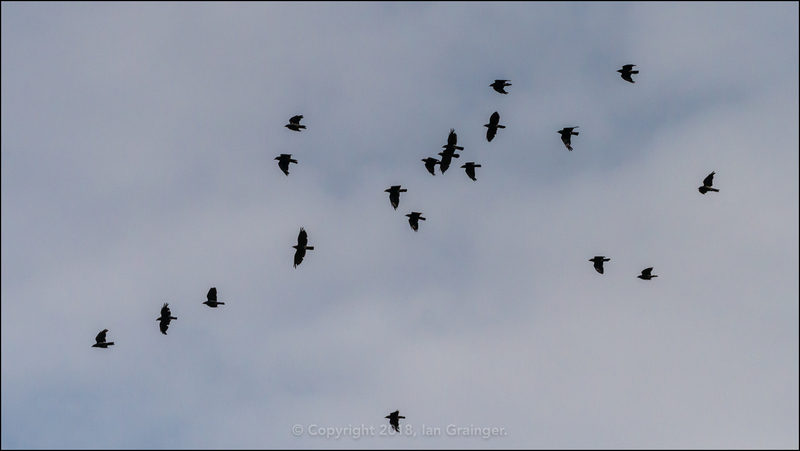 No wonder the collective noun for a group of Crows is a Murder! 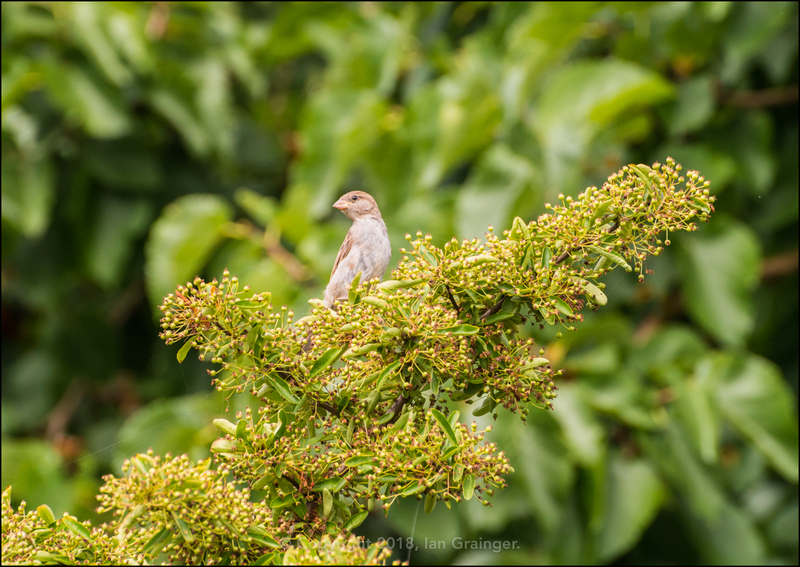 Meanwhile this juvenile House Sparrow (Passer domesticus) had arrived a little too early to feast upon the Pyracantha bush berries, but it wouldn't be too long before some would begin to ripen. 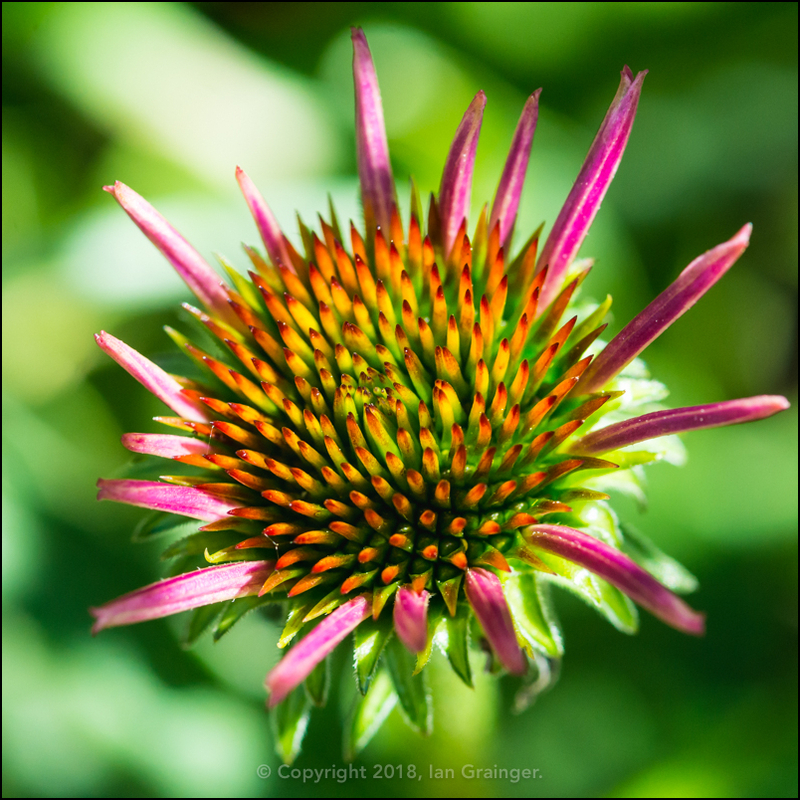 The only new flower in dad's garden this week was this Coneflower (Echinacea), and it was only just beginning to open. Finally, my fishy friends. 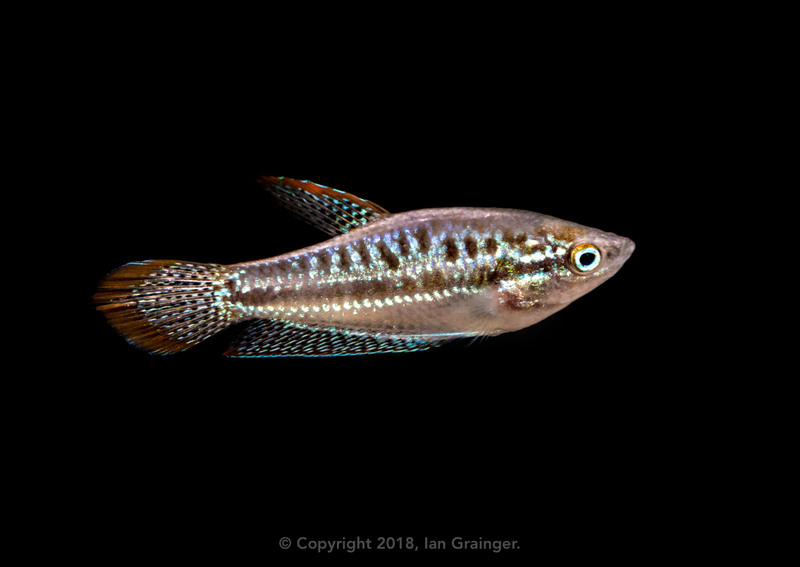 This is one of my very pretty Sparkling Gourami (Trichopsis pumilis), and is probably my favourite type of fish at the moment. I have a small group of them and they all seem to exhibit slightly different personalities. One is incredibly bold, investigating anything new, while one is quite shy, only coming out of hiding when I move away from the tank. Another likes to dart between points of cover, while another doesn't seem to have a care in the world and just likes cruising the tank!